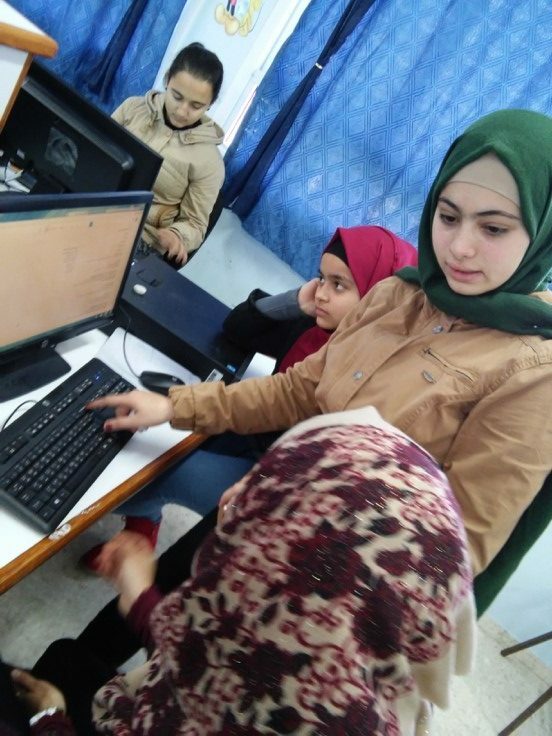 TechGirls not only aims to educate young women in various technological fields but also serves to empower them by providing opportunities for them to teach those both outside and inside of the program. Many of the young women learned that teaching is a lesson in itself. 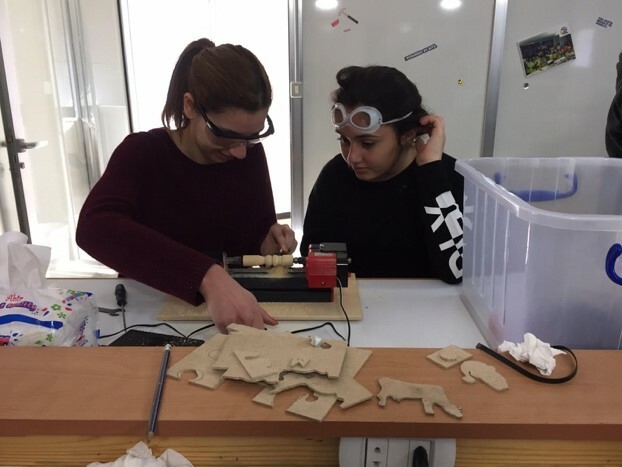 MARINA AND MAYA WORKED TOGETHER, ALONG WITH A TECHWOMAN SABINE EL KAHI, TO START A STEM CLUB AT SCHOOL. 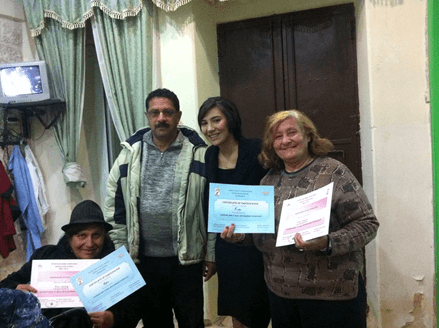 LAUREEN’S PROJECT WAS TO TEACH ELDERLY PEOPLE HOW TO USE COMPUTERS AND SMART PHONES SO THEY CAN COMMUNICATE WITH THEIR FAMILIES. 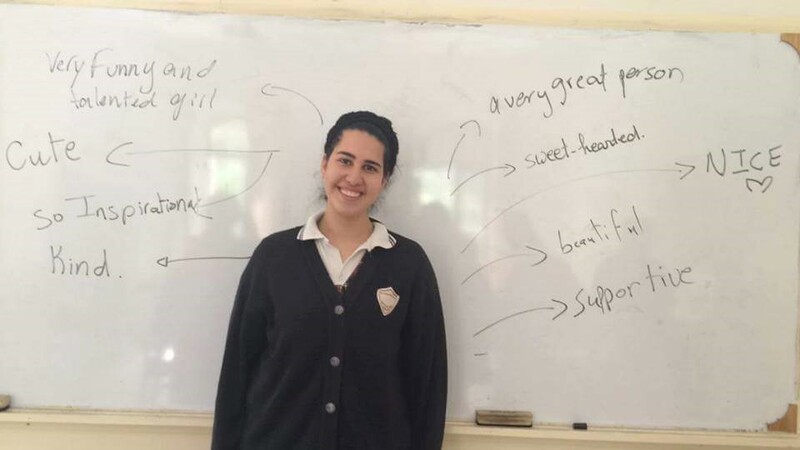 DANIELLE CONDUCTED LEADERSHIP CLASSES AND JAVA PROGRAMMING WORKSHOPS TO HER PEERS. TechGirls, a U.S. Department of State initiative, is an international exchange program designed to inspire and empower girls from the Middle East and North Africa to pursue deeper level of training in technology through hands-on skills development. The TechGirls program builds on the U.S. global commitment to advance the rights of women and girls around the world. Since its first year in June 2012, TechGirls has brought over 106 teenage girls (ages 15-17) from Algeria, Egypt, Jordan, Lebanon, Libya, Morocco, Palestinian Territories, Tunisia, and Yemen have travelled to the United States for a three-week exchange. While in the United States, TechGirls participate in an interactive technology and computer camp, join a tech company for a day of job shadowing, and participate in community service initiatives. Now in its fifth year, TechGirls 2016 will be better than ever. The 23-day program is packed with skill-development workshops and interactions with America’s most innovative tech professionals as well as 50 hours of study at iD Tech Camp. The TechGirls program improves the participants’ ability to enter tech fields and gain access to higher education, as well as offering them a rich cultural immersion experience.